Queen’s Walkway along the Goshree Chatiath road will soon be brought under CCTV surveillance to keep a tab on criminals and check anti-social activities. 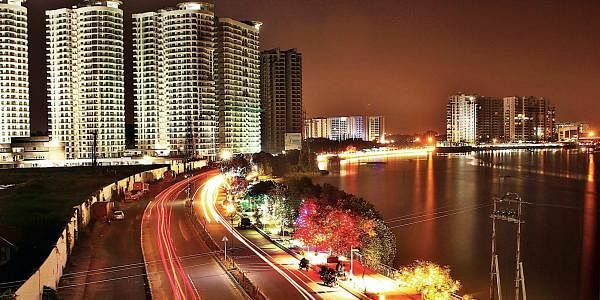 KOCHI: Queen’s Walkway along the Goshree Chatiath road will soon be brought under CCTV surveillance to keep a tab on criminals and check anti-social activities. The project, envisaged by Hibi Eden MLA, is being initiated to ‘save the the walkway,’ in the wake of miscreants damaging public property in the area. A total of 21 bullet CCTV cameras and three advanced 360-degree cameras will be installed along the 1.8-km walkway. The government has entrusted the task with Kerala State Industrial Enterprises Ltd, which is expected to be completed by month-end. “Within a few days after the walkway was opened for public, unidentified persons either damaged or looted the lights, speakers and LED strips along the stretch. Even the benches were vandalised by anti-social elements. CCTV footage will help the police check such criminal activities,” said Hibi. The advanced cameras would send footage to the control room at the GIDA office, if anything unusual comes under the radar. The fully-automated Queens Walkway, constructed using Rs 5 crore allotted by the Tourism Department, was inaugurated during the tenure of the UDF Government. “CCTV surveillance is the only solution to curb the menace. For the project, Rs 14.5 lakh has been allotted from the Special Development Fund. In phase-II, bio-toilets and WiFi will also be installed on the walkway,” said the MLA. BPCL has also offered financial assistance to light-up the stretch. “Queens Walkway will become the most beautiful place in the city,” he added.